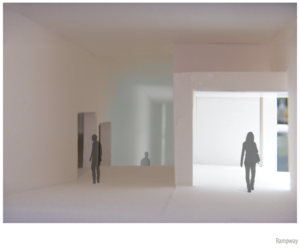 Images excerpted from a graduate student project by Betty Shreve at Lawrence Technological University. 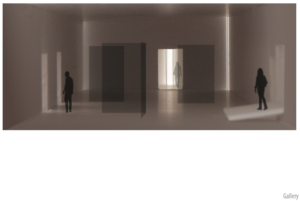 The images represent the entry, galleries, and circulation spaces for a proposed museum at the Alhambra in Granada, Spain. 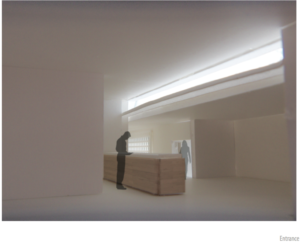 The views here are physical models created with white foamcore board and photographed in daylight. 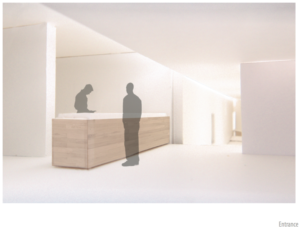 The scale figures and artworks were added to the photos with Photoshop to provide scale and detail.